Having clear, flawless skin has always been a pre-requsite to looking beautiful, which explains the slew of makeup products from foundation and concealer to BB, CC cream in every possible shade, aimed to achieve a complexion as close to perfection as possible. 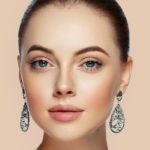 To help your skin look naturally gorgeous without the need to paint on layers after layers of urban warpaint, here are 5 great tips from skincare experts that are worth taking note; for at any given age, a blemish-free complexion is always more attractive and youthful looking. To clear up toxins and keep your skin happy and glowing, make sure you drink at least 8 glasses of pure drinking water a day. Having adequate water intake makes a big difference in skin health, and dehydration often lead to dull looking skin with increased prominence of pores and wrinkles. That may be because water plumps up the skin, causing wrinkles and pores to, more or less, get filled in. 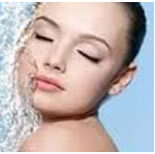 Furthermore, a variety of structures in the skin that support collagen require water to work effectively. When skin is hydrated, plump, and elastic, its protective barrier is not compromised, and is therefore less likely to experience skin irritation and blemishes. Studies have shown that dehydration can also trigger off changes in oil glands, throwing sebum production off control and leading to acne flare-ups or breakouts. The water you drink may not bestow its intended effects on outermost layers of skin, and there’s really no better way to keep your skin supple and complexion dewy looking than to quench the thirst of your dermal cells with deep hydration from inside out. Thanks to an exclusive patented bio-synthesis process, Revitalift which engages the help of pure hyaluronic acid (HA)that’s highly identical to our own skin’s polymer, of which one molecule alone can hold up to 1000 times its own weight in water. This is as natural a way as it can get to hydrate and replenish our skin moisture to optimal levels. By maintaining high bio-compatibility, the HA introduced via a series of pain-free microinjections is readily incorporated for a dermal monsoon, providing deep hydration that restores moisture back to youthful levels. Improvements are apparent even after the first treatment with close to zero downtime, and optimal outcome is achieved after 3 to 6 sessions done regularly at monthly interval for well hydrated peaus that glow with the radiance of Youth. “We are what we eat”, and this can’t be any further away from the truth when it comes to the status of your skin health, with what we eat having a direct impact on the way we look. If you’re constantly noshing on processed foods or those high in sugar and fat, the adversity doesn’t end with just an expanding waistline. Dietary indiscretions can affect the pH balance of your skin, leading to dryness or oiliness with worsening of wrinkles, fine lines and dark under-eye circles. 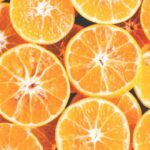 According to Los Angeles–based nutritionist Kimberly Snyder, you can actually get better skin in just a week through consuming key natural ingredients. For great looking skin that glows, it is important to adopt an all-rounded healthy diet that’s focused on lean proteins, fiber, healthy fats, raw fruits and supergreens. The high-quality amino acids consumed form the basic building blocks for firming up skin cells, with antioxidant-rich and anti-inflammatory ingredients mopping up harmful free radicals to protect against environmental stressors and boosting skin metabolism for optimal skin health. PDRN Perfection is akin to a health-freak’s dream buffet for your skin. Anti-aging PDRN (Polydeoxyribonucleotide) corrects DNA damage and regenerates skin, existing in small amount in newly formed tissues to standardize DNA structure into the right size, replacing damaged and aged skin cells with young and healthy looking ones. PDRN Perfection helps kickstart your skin’s physiologic regeneration processes, reversing some of the age-related changes that have taken place in your skin as well as optimizing skin’s health to better withstand future assaults. Regular treatments will therefore give you one of the best defence against accelerated ageing caused by environmental and lifestyle factors, giving you that desired BB cream-liked allure of gorgeous looking skins. 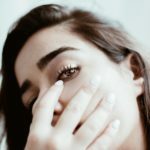 Getting acquainted with your own skin and knowing exactly what you’re dealing with is half the battle won to get your complexion looking its absolute best without resorting to heavy makeup or photoshop apps. Though skin types can be loosely categorized, each individual’s skin has his or her own unique needs, and can even vary from time to time for the same person in accordance to seasonal changes in environment and hormonal fluctuations with life. If you have tried many skincare products without achieving the intended effects, chances are like most people similarily affected, you aren’t too sure of what’s going on although you thought you knew your own skin well! Exfoliating on a regular basis is one of the most cost effective way of any home care regime to get your skin looking positively better whether it’s normal, oily or sensitive to begin with. To get the most out of your scrubbing efforts, make sure you pick the right product that matches your skin type and stick to the recommended frequency of once to twice weekly. By removing dead and dying skin cells from the surface of the epidermis, exfoliation helps clear debris and keep pores from becoming clogged, leaving skin clean feeling and downright refreshed. The removal of dead skin cells is known to increase cellular turnover, speeding up the skin renewal process to allow younger, healthier skin cells taking their places to show through. For more thorough cleansing to purge clogged pores, deeper exfoliation with microdermabrasion or having a chemical peel professionally done once every 3 to 4 weeks is ideal as part of your maintenance beauty regime. The route to takefor deep exfoliation to achieve unparalleled luminosity is with Aqua.dermabrasion, an improved and highly efficacious variant that works differently from your traditional microdermabrasion. A spiral shaped tip with multiple abrasive edges replaces the usual flat ones, allowing better exfoliation several times over as the tip is moved on skin’s surface in a planning motion. The gentle jet of accompany fluid not only reduces friction to increase the comfort level of the procedure, continuous moisture application softens the skin and sebum; making it much easier to extract impurities and blast them away. Regular sessions do much more than keeping comedones at bay for blemish-free complexions sans foundation, multi-tasking to help with fine lines, wrinkles, surface blemishes, uneven skin tone and possibly mild pigmentation all at one go. Bothered and bewildered by persistent lacklustre skin, resistant pores, stubborn pigmentation and lines that refuse to budge with anything and seeking refuge with a ton of foundation before you dare to step out to face the world? Medical lasers are currently the latest go-to, being the surest and most cost effective route in the long run to garner desirable changes of the highest level sans surgery. 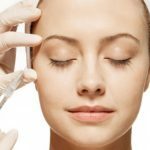 For a more comprehensive approach, consider the Transform Skin Program, a brilliant complexion perfecting protocol conceptualised by the team of beauty experts from the SW1 Clinic.Specially designed for those who will not settle for anything less than absolute perfection, this total skin renewal program will target all aspects of dermal rejuvenation from tone, texture and colour with unparalleled power and focus. 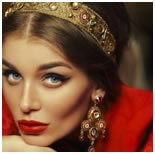 From fine lines, open pores, scars, pigmentation and skin laxity, this program aims to transform how you look el pronto. Additional skin tightening technology provided by the revolutionary SmartX laser treatments means that apart from its skin smoothening prowess, crepey skin and niggling skin laxity is now even better addressed than ever before!